We offer a huge selection of custom rod options in glass, graphite and bamboo, as well as restoration services on most fiberglass rods as well as some bamboo. This is a very subjective service so a lengthy conversation must take place in any of these circumstances. Any inquiries about restoration must be via email and must include detailed images of the rod. 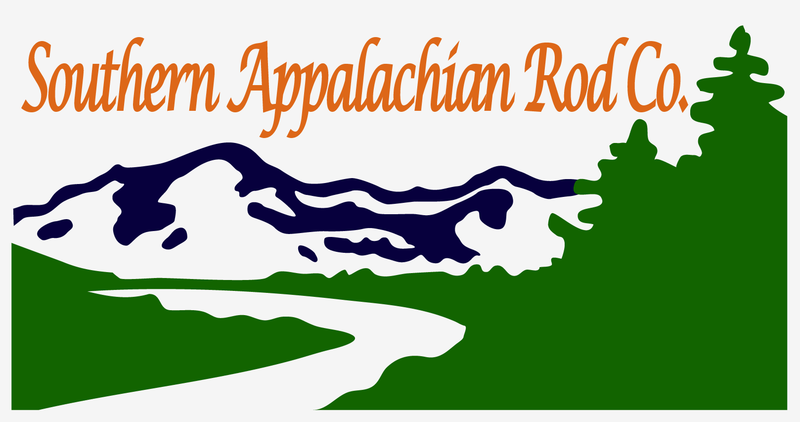 Please email about any inquiries about custom rods of any kind as there is a huge range of options involved. Again, if an accident with a rod occurs, if fixable, we will do the best we can to fix the rod for you. Replacement of destroyed rods, or replacement of destroyed components will not be possible unless you are willing to pay for that service. 7' 3/4W 3PC White Oak Creek Series Glass. An excellent dry fly rod on small to medium sized water, this makes a very versatile rod for intimate streams of all types. Medium/Slow action, spigot ferrules, heavy rod bag, priced $225. 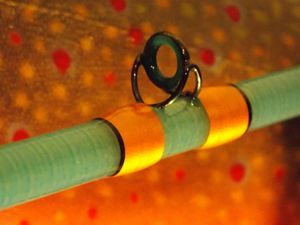 This rod can be customized for an additional $50 plus any difference in cost of materials. 6'6" 2/3W 4PC White Oak Creek Series Glass. 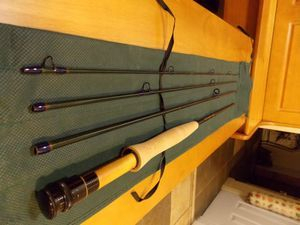 This is a crackerjack small-stream pack rod with a nice medium action, spigot ferrules, titanium hardware, and heavy rod bag priced $225. These can be customized for $50 extra plus any difference in cost of materials. 6'6" 2W 4PC Speck Model Graphite. 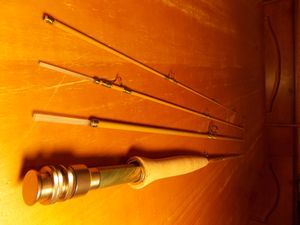 This is the cost-conscious angler's dream, a small-stream pack rod of the highest order, that won't break the bank. Green or blue medium/fast graphite, black hardware, maple seat, priced $175. 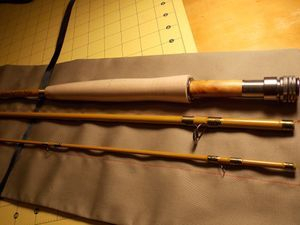 This rod can be customized for an additional $50 plus any difference in cost of materials.